Here’s the landscape of the debate – the humble oil palm is actually an amazingly versatile plant! According to the Malaysian Palm Oil Council (MPOC), palm oil is present in approximately 71% of food products, in 24% of consumer goods and in 5% of energy usage. Malaysia is the second largest palm oil producer in the world, after Indonesia. Our top two clients is the EU and India respectively and the annual revenue generated from the palm oil industry is reported to be 6 per cent of the national GDP in 2017 to the tune of RM 77.8 billion! "About 40% of oil palm growers in Malaysia comprise small holders numbering 650,000. In addition, about 3 million people in Malaysia earn their livelihood from the palm oil industry". About 40% of oil palm growers in Malaysia comprise small holders numbering 650,000. In addition, about 3 million people in Malaysia earn their livelihood from the palm oil industry. On 7 Jan 2018, the EU voted for Palm oil-based biofuels to be completely banned by 2021! However, this was not the first time the palm oil industry was subject to scrutiny and challenges by the EU, citing poor environmental record and rampant deforestation. This naturally sparked a heated exchange and commentaries across the industry, continents and various groups, both for and against such a unilateral move. Now let’s look at the other spectrum of the argument, of which I am admittedly a little biased. Malaysia has a total land area of 32.98 million hectares. Presently, approximately 18.11 million hectares or 54.9% of the land area are still (reportedly) covered with forest and ‘green cover’ with a total oil palm planted area spanning 5.81 million hectares. In a nutshell – since the 1960s – oil palm has seen rapid growth in terms of land use, both dominating and devastating lowlands forest landscapes, riparian zones, as well as taking over from rubber and other monoculture estates in some cases. Just fly into any of our cities and drive in any direction, you will know what I mean. National parks and critical natural landscapes are now mostly ‘islands’ with little or no connectivity. Forest ‘reserves’ in many states are now being actively degazetted. First comes the timber tycoons and next, their plantation counterparts – leaving Malaysia with barely a hint of a secondary forest that should be left to regenerate into mature forests in the future! This smells more like greed and an industry left too long to plunder our country’s natural wealth with little independent oversight and monitoring. 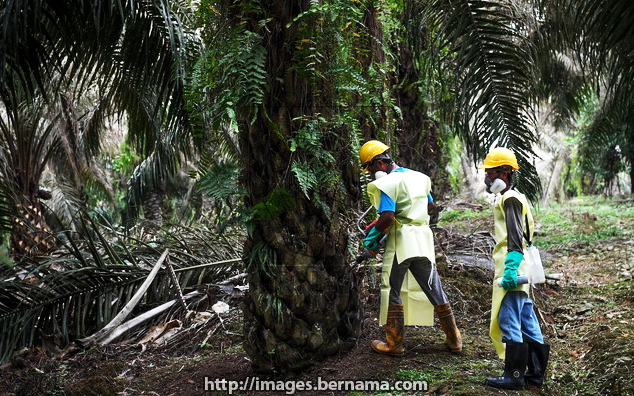 The question therefore to the industry is why the need to expand oil palm acreage even further? Just as in the case of the humble rubber tree, don’t we have enough knowhow to increase production per acre with a more robust hybrid? In fact, oil palm acreage should be shrinking! Diversification of business models and leaving forests intact and connected in plantation landscapes should now be a major voluntary industry goal with governmental support. So, what about the EU ban that’s looming? 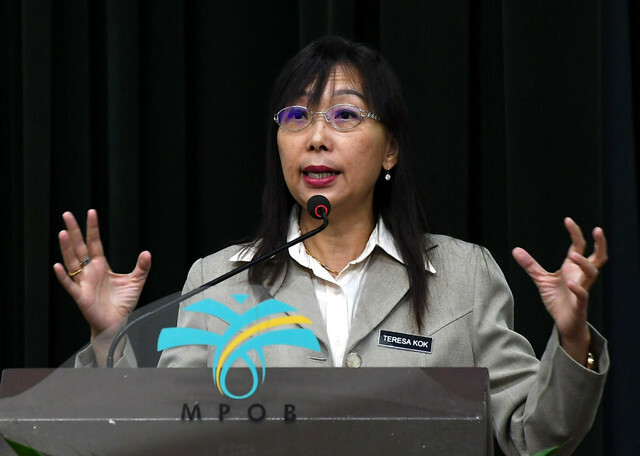 Minister of Primary Industries, Teresa Kok, recently remarked that she hopes all existing palm oil traders can achieve 100 per cent Malaysian Sustainable Palm Oil (MSPO) certification by December 31, 2019! As of September 2018, she lamented, only 20% are registered! In the meantime – as you read this – forested areas are being converted to oil palm estates just along the Jerantut-Kuala Tahan road, as you drive into Taman Negara (reportedly one of the world’s oldest rainforests)! The industry simply has to do better, over and beyond – to undo their past and meet the expectations and assuage the somewhat bias views of the EU. They need to come up with serious measures to protect and enhance our natural ecosystems. They need to understand fully and respect the role of our natural landscapes. In what shape and form these resolutions are made – let’s have a focussed conversation and a meaningful plan that will carry the weight of political will. Our environmental future and that of our children and all things naturally Malaysian, depends on it! (logging companies/rubber plantations, you are not excluded from this conversation too! ).